Pecans are a species of hickory native to northern Mexico and the southern United States. Pecan trees are cultivated for their edible nuts, and it can take 12 years for a tree to reach maturity and begin producing. The history of pecans, which are the only major tree nut that grows naturally in North America, can be traced to the 16th century. Pecans are frequently enjoyed in southern cooking, particularly in desserts. 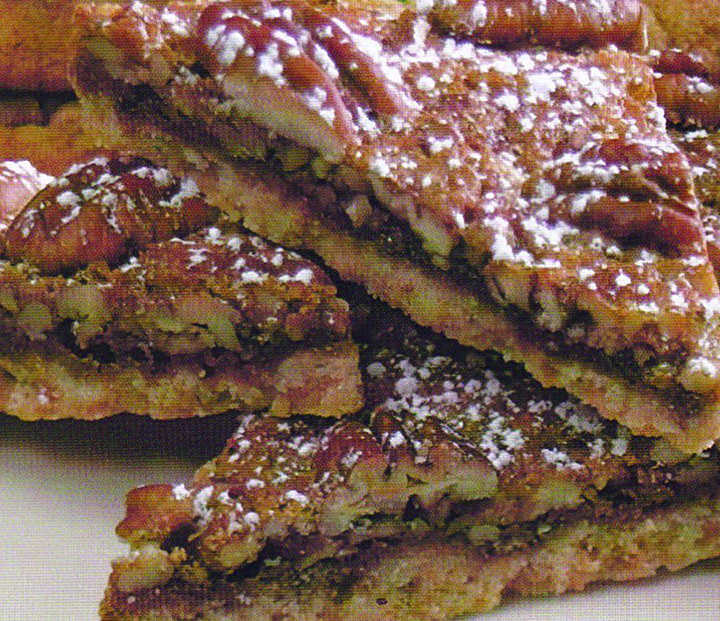 There are many different ways to incorporate pecans into recipes, such as in delicious, chewy cookie bars. 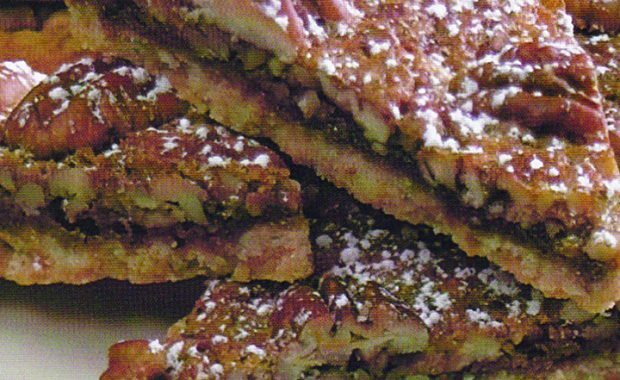 Enjoy this recipe for “Pecan Praline Cookie Triangles” from “The Pampered Chef® Stoneware Inspirations (The Pampered Chef®, Ltd.)” by The Pampered Chef® Test Kitchens. Preheat oven to 350 F. For crust, combine flour, powdered sugar and baking soda in a batter bowl. Add butter; mix until crumbly. Lightly press crumb mixture over bottom of stoneware bar pan; roll lightly. Bake 15 minutes; remove from oven to a cooling rack. Meanwhile for filling, reserve 1 cup of the pecans for garnish; chop remaining pecans. Combine chopped pecans, brown sugar, eggs, butter, vanilla, and salt; mix well. Pour filling over warm crust, spreading to edges of pan. Arrange remaining pecan halves over filling. Bake 17 to 19 minutes, or until filling is set in center. Remove from oven; cool completely. Sprinkle with additional powdered sugar, if desired. Cut into 32 squares using a utility knife; cut each square in half diagonally.